Public blog that highlights current welfare fraud news and initiatives by UCOWF. Blog comments are moderated and Blog topics are determined solely by UCOWF. A comprehensive, detailed report about fraud in the Supplemental Nutrition Assistance Program (SNAP) has just been published by the Government Accountability Institute (GAI). Upon reading it you will find that UCOWF and its members are mentioned throughout the report. This is a significant publication; it stands as one of those rare instances where a report lays out well-documented information about a large government program, told from an independent point of view rather than a self-serving product published by the government entity that administers it. A journalist-researcher with GAI spoke with many of the investigators and administrators attending the 2017 UCOWF Conference in Orlando. He also attended workshops to listen to the information presented by program officials and the questions or feedback they received from the attendees. He took what he heard back to the staff at the GAI. For over a year, they dug into Inspector General reports, listened to testimony given to congressional committees, researched news articles, and read materials published by the USDA. They obtained workload data from state officials and developed some very timely conclusions. This report goes far beyond the anecdotal stories and issues that our members frequently raise with program administrators or discuss among ourselves. It is an in-depth look at a safety net program whose annual cost to the taxpayer exceeds the combined annual budgets of Homeland Security, the EPA, and the US Treasury. It is the result of a critical examination of the role that program integrity plays in the administration of the SNAP program. It is a bright light shined on the SNAP program’s soft rules, disincentives, ineffective internal controls, and the glaring lack of interest given to protecting it from fraud or holding those who commit fraud accountable. This report also delves into the funding of criminal and terror operations. It explains the role SNAP trafficking continues to play in funding organizations that ultimately target Americans on the battlefield and at home. The conclusions are what most UCOWF members already realize. At a cost to US taxpayers of over $68 billion (in 2017), the SNAP program is a huge, expensive program with more fraud, waste, and abuse than the public realizes. This exists because properly incentivizing states to prevent and investigate SNAP fraud would work at odds with expanding an already mammoth benefit program. Program integrity has repeatedly taken a distant back seat to program expansion. This report clearly bears that out and exposes the terrible consequences of that happening. Read the report HERE and share it with others. 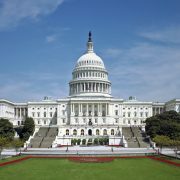 The House passed its farm bill Thursday by a vote of 213-211. Passage of the House farm bill — which would re-authorize the SNAP program — moves Congress one step closer to sending a bill to President Trump before the current legislation expires at the end of September. The Senate is planning to take up its own version, which has bipartisan support, as soon as next week. Passage is widely expected — but trouble could be in store when both bills get to conference to find partisan common ground. House GOP leadership had to rely solely on Republican lawmakers to carry the measure — the first farm bill to pass either chamber with only one-party support — after Democrats revolted over its proposed changes to SNAP (food stamps). House Democrats opposed the bill in committee due to stricter work requirements on food stamp recipients. The House farm bill contains program integrity provisions, while the Senate bill essentially maintains a “status quo” in SNAP and is largely devoid of any measures to combat waste, fraud, or abuse. The White House today proposed to merge several federal government agencies, including moves impacting public assistance programs. The proposal is a product of the Trump administration’s promise to trim federal bloat, consolidate duplicative programs, and better focus federal efforts to support retraining and employment. The proposal includes several controversial provisions that will require Congressional approval and that will likely result in political posturing on both sides of the aisle. The plan includes consolidating several federal safety net programs under a single department — a move designed to set the stage for new work requirements and potential program cuts, according to the White House Office of Management and Budget. These moves mirror recommendations long made by the Heritage Foundation, a conservative think tank organization (see also LINK). The proposal would move the $70B SNAP program, better known as food stamps, out of the USDA and into a rebranded Department of Health and Human Services (DHHS). DHHS will be renamed the Department of Health and Public Welfare (DHPW), and will house the Council on Public Assistance. The United Council on Welfare Fraud will closely monitor the progress of these recommendations. “It’s a refreshing and encouraging change to see efficiencies and streamlining occur in the public assistance programs, and we hope President Trump’s welfare reform suggestions will help further UCOWF’s mission to protect the integrity of these programs,” said UCOWF President Jack Heacock. Summary of Proposal: This proposal moves the non-commodity nutrition assistance programs currently in the U.S. Department of Agriculture’s (USDA) Food and Nutrition Service (FNS) into the Department of Health and Human Services’ (HHS) Administration for Children and Families (ACF), and renames HHS the Department of Health and Public Welfare (DHPW). The proposal also establishes a Council on Public Assistance, comprised of all Federal agencies that administer public benefits, with statutory authority to set cross-program policies including uniform work requirements. USDA and HHS are currently responsible for administering the Federal Government’s major public assistance programs, not including housing programs. However, State and local governments, the entities delivering these services to participants, often administer many of these programs under a single Agency. For example, when a person goes to apply for services through the Temporary Assistance for Needy Families (TANF) program and for nutrition assistance through the Supplemental Nutrition Assistance Program (SNAP), they often go to a single State agency office to do so. Unfortunately, that single State agency currently must follow two separate sets of reporting, regulatory, and other administrative requirements – one set imposed by HHS for TANF, and another by USDA for SNAP. This creates unnecessary administrative burden and potential duplication, using up resources that could be better used helping families move towards self-sufficiency. In addition, because these programs are currently administered by different Federal departments, they are often not well coordinated. This proposal moves a number of nutrition assistance programs currently housed in USDA – most notably SNAP and the Special Supplemental Nutrition Program for Women, Infants, and Children (WIC) – to HHS and, acknowledging the addition of these programs to the Agency, renames HHS the Department of Health and Public Welfare (DHPW). To provide for even more coordination across all Federal public assistance programs, this proposal also establishes a permanent Council on Public Assistance, housed in DHPW and composed of all agencies that administer public benefit programs, including USDA, the Center for Medicare and Medicaid Services, the Department of Housing and Urban Development (HUD), and others. This Council would have statutory authority to set certain cross-program policies, including on uniform work requirements. This proposal will better align the administration of these public assistance programs at the Federal level with how they are often administered at the State and local levels. This will reduce administrative burdens and duplications of effort that currently exist for State and local governments. It will also ensure that policies are applied consistently across all programs, potentially reducing confusing, complex, and sometimes contradictory requirements across programs that can make it difficult for both States and participants to follow the rules. FNS currently administers 15 nutrition assistance programs, which can be separated into two major categories: “near-cash” benefit programs and commodity-based programs. Near-cash programs provide money to low-income households, including through an electronic benefit transfer card or voucher, to allow participants to buy food through retail outlets. Commodity-based programs deliver actual food to eligible entities, who in turn provide a meal or food benefit to participants. Near-cash benefit programs do not need to leverage USDA’s expertise in food procurement or delivery, nor do they primarily fit with USDA’s core mission of supporting American farmers and agriculture. Rather, these programs are designed to support low-income Americans, a mission area better situated in DPHW. Specifically, the Administration proposes to move SNAP, WIC, the Child and Adult Care Food Program (CACFP) and the Farmers’ Market Nutrition Programs into ACF. USDA, whether with a smaller FNS or a different division, would continue to administer the commodity-based programs, including the National School Lunch and School Breakfast Programs, The Emergency Food Assistance Program, the Commodity Supplemental Food Program, and others. Moving the near-cash benefit programs into ACF would allow for better and easier coordination across programs that serve similar populations, ensuring consistent policies and a single point of administration for the major public assistance programs. This single point of administration would lead to reduced duplication in State reporting requirements and other administrative burdens, and a more streamlined process for issuing guidance, writing regulations, and approving waivers. Having all the major public assistance programs under one agency would also create more synergies within the Agency, allowing ACF to develop a more holistic understanding of how programs interact with each other, which itself could lead to better policy analysis and outcomes. For example, as States have provided more TANF benefits through non-cash assistance, SNAP enrollment has grown due to individuals becoming “categorically” eligible for SNAP. This has resulted in some unintended consequences, such as families becoming eligible for SNAP through the receipt of a TANF pamphlet or other non-cash assistance. The Fiscal Year (FY) 2019 Budget proposed to tighten these loopholes, but combining these public assistance programs under one agency would help to increase awareness of these interactions and improve policy development that prevents such unintended consequences. With the move of these non-commodity programs, the welfare portfolio at HHS increases significantly. The proposal renames HHS the Department of Health and Public Welfare to more accurately reflect the mission of the Agency and raise the profile of non-health related programs within the Agency. Recommending programmatic and operational changes to eliminate barriers that it identifies at the Federal, State, and local levels to getting welfare participants to work. The Council would be housed at DHPW and composed of agency heads or their representatives from USDA (including from the smaller, reformed FNS focused only on commodity programs), HUD, the proposed Department of Education and the Workforce, the Office of Management and Budget, and others, as appropriate, and chaired by DPHW senior leadership. Creating this Council would further break down silos between agencies operating public assistance programs by establishing an interagency coordination and support structure to carry out the welfare reform agenda of the Administration with high-level visibility. Because this Council would become the Administration’s welfare policy-making apparatus, this proposal would consolidate policymaking functions across the different agencies, likely reducing administrative resources and duplication in current policymaking functions, and would ensure that Federal public assistance programs are well aligned and focused on promoting opportunity and economic mobility. CACFP provides reimbursement for meals served by participating child and adult care providers, rather than a direct benefit to the household. However, for the same coordination reasons as the near-cash programs, we recommend moving it to HHS to align with the Head Start and Child Care programs operated by ACF. Other programs include the Summer Food Service Program, the Food Distribution Program on Indian Reservations, the Special Milk Program, Assistance to Nuclear Affected Islands, and Disaster Assistance (not including Disaster SNAP). providing opportunities for work, including by investing in Federal programs that are effective at moving people into the workforce and out of poverty. It must examine Federal policies and programs to ensure that they are consistent with principles that are central to the American spirit — work, free enterprise, and safeguarding human and economic resources. For those policies or programs that are not succeeding in those respects, it is our duty to either improve or eliminate them. services and benefits that support paths to self- sufficiency. 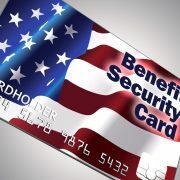 (c) the terms “welfare” and “public assistance” include any program that provides means-tested assistance, or other assistance that provides benefits to people, households, or families that have low incomes (i.e., those making less than twice the Federal poverty level), the unemployed, or those out of the labor force. Brandon Lipps — the acting deputy undersecretary for USDA’s Food, Nutrition, and Consumer Services — said that the chief integrity officer would oversee the food stamp program and suggest improvements to maintain the program’s integrity, so those who receive benefits are the ones who really need them. 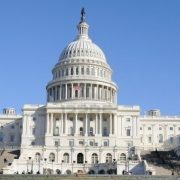 The USDA also announced that it would conduct a “third-party review” of all 15 nutrition assistance programs—including the Supplemental Nutrition Assistance Program (SNAP); the Women, Infants, and Children Program (WIC); National School Lunch and School Breakfast programs; and the Summer Food Service Program. The agency had rolled out several initiatives over the past few months aiming to reform the nation’s food stamp program. The USDA announced in February that it would be rolling out its “Harvest Box” program to give food stamp recipients a box of food as part of their monthly benefits package and released a plan in January that would implement work requirements for food stamp recipients nationwide. UCOWF Editorial Comment: To all of us interested in program integrity, this is a significant announcement by the USDA. The environment to promote ideas to improve SNAP integrity was not very hospitable under the prior Undersecretary for Food and Nutrition Services. Resting on the narrative that there was less than one percent of fraud in the SNAP program, many ideas promoted to FNS were rebuffed if the idea threatened SNAP enrollment levels. I believe the SNAP program, those that depend on it, and those whose taxes fund it suffered needlessly due to a dismissive posture adopted by top FNS officials when recommendations to shore up integrity were offered. This announcement by USDA is an acknowledgement that SNAP fraud and waste exists at a level significant enough to warrant a full-time position to explore ways to reduce it. In a recent letter to members of Congress, UCOWF provided nearly two dozen recommended policy fixes that would result in marked improvements in the integrity of the SNAP program. The letter was also sent to USDA Secretary Sonny Perdue. A more thorough discussion of those recommendations can be found in the article by Andrew McClenahan about SNAP integrity. Implementing any one of those recommendations would provide an improvement in the amount of fraud and waste that currently exists in the program; the more implemented, the greater the savings or recoveries. As our focus is strengthening program integrity, UCOWF will continue advocating for reforms that will result in greater integrity in the SNAP program and others. Keeping program integrity front and center in any discussions of welfare reform will be a major initiative for us in the months ahead. USDA appointing a Chief Integrity Officer in the FNS signals a shift in the agency’s attitude towards program integrity, a shift that should allow UCOWF to have a more fruitful relationship with the agency from this point forward. Ideas can make processes better and UCOWF is offering its perspective for making the SNAP program more fiscally-sound and effective. With a roaring economy and extremely low unemployment, UCOWF believes it is time for lawmakers to look at ways to improve program integrity. 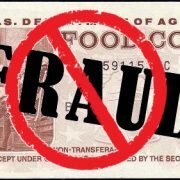 In a letter to the US House of Representatives Committee on Government Oversight, UCOWF President Jack Heacock offered UCOWF’s assistance in any Welfare Reform legislation by lending our perspective on fraud. To demonstrate our value, Heacock provided 23 ideas that, if implemented, would improve the integrity of the SNAP program without costing additional tax dollars. In fact, implementing these ideas would prevent dollars from being lost to fraud in the first place. Among the ideas provided, several are of particular concern to UCOWF. High on our list is re-purposing the bonus incentive (CFR 275.24(b)(3)(i)) now provided to states for increasing participation in SNAP and instead, providing the dollars as an incentive for implementing fraud prevention processes. Reward states a portion of the annual cost-avoidance savings for reinvestment into fraud detection and prevention programs, consistent with the recommendations of the US Government Accountability Office. Increase the percent of state-retained share of fraud and household error collections from the current 35% and 20% levels, respectively, to encourage collections. Furthermore, UCOWF would recommend the mandate that any state-retained share of collections must be used to fulfill all state-validated fraud prevention, detection, and investigation programs and initiatives before being used for any other purpose. Providing states a role in the approval process for merchants who apply to the Food and Nutrition Service (FNS) for a SNAP retailer authorization. States must bear the consequences for bad actors allowed into the SNAP program; states should be allowed a say in who FNS authorizes as a retailer and validate the need for a merchant to be authorized at the location the merchant proposes to operate. Leveling the playing field for states concerning the burden of proof needed for disqualifying recipients suspected of trafficking their SNAP benefits, matching the standard FNS uses to disqualify a merchant suspected of trafficking. There are other commonsense ideas that tweak the existing program rules in order to provide greater integrity and strengthen the ability of states to recoup losses caused by fraud and error in other programs. Specifically, expanding the Treasury Offset Program (TOP) to allow states to collect debts from fraud and household error in Medicaid and TANF could vastly improve efforts to extinguish debts in those programs. A debt in Medicaid and or TANF is a debt owed to the taxpayers. Collecting that debt by intercepting federal payments and applying them to the debt just makes sense regardless of the federal assistance program involved. None of the ideas advanced in Heacock’ s letter intend to limit assistance provided to those who truly need it. UCOWF simply offers ideas that will improve stewardship of taxpayer dollars primarily in the SNAP program. By repurposing dollars intended for other SNAP initiatives and directing them towards prevention, detection, investigation and recovery efforts, along with increased authority given to states to administer SNAP, program integrity will increase proportionately to the states’ increased ability to prevent and fight fraud. In Greek mythology, King Sisyphus was punished by the gods and forced to roll an enormous bolder uphill, only to watch it come back and hit him – and forced to repeat this for eternity. Hence the term, Sisyphean: something that demands unending, thankless and ultimately unsuccessful effort. 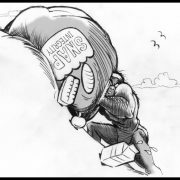 Those responsible for protecting the much-needed integrity of the Supplemental Nutritional Assistance Program (SNAP) can relate to King Sisyphus’ plight. The boulder has never seemed heavier; the hill never so steep as it is today. But it doesn’t need to be! With a new federal administration comes new and fresh opportunities to address waste, fraud, and abuse in SNAP. And the new leadership at USDA Food & Nutrition Service (FNS) has already indicated their readiness to step up to help ease our burden! UCOWF and the State Welfare Fraud Directors are providing the following recommendations and common-sense suggestions to improve program integrity, provide a higher degree of fraud prevention, and a reduction in waste and unnecessary spending of taxpayer dollars. Some suggestions may require Federal legislation, while others are merely a policy opinion clarification that can be provided with swift returns on investment. The suggestions are shared publicly in the spirit of strengthening the integrity of the SNAP program, improving public confidence and accountability in SNAP administration, and done so in the hopes of the new and improved collaborative partnership with our (States) partners in the USDA FNS. 1) Change Funding/ Incentives – States receive bonuses for increasing recipients to SNAP rolls (7 CFR 275.24(3)(i)). Yet FNS provides no incentives for States to stop fraud before it is issued. To move from a “Pay and Chase” model, we must move the funding stream to incentivize front end integrity and provide bonuses for integrity cost avoidance. To incentivize States to move to an emphasis of stopping fraud at application/recertification, FNS should provide a financial compensation for fraud deterred. Currently, no State retention percentage exists when front-end investigative efforts identify and prevent fraud, waste or abuse prior to SNAP authorization. Rewarding a portion of cost avoidance savings given back to the States as a result of their efforts in stopping and/or reducing fraud, waste, and abuse for reinvestment into their program integrity initiatives is a commonsense solution. This recommendation was also made in the by the US Government Accountability Office (GAO 14-641). Without such an incentive, States are hesitant/reluctant to spend their money to protect Federal money. Some State’s reinvest the retained percentage of collections into their integrity programs; however, FNS does not provide guidance or mandates for States to do so. This results in the recoveries (State revenue) being diverted to pay for competing priorities and not reinvested back into program integrity initiatives. We should be allowed to “eat what we kill.” Federal guidance would be helpful on the intended use of retained collections, similar to guidance on the use of SNAP QC performance bonuses. Recoveries from retailer trafficking intentional program violations, such as imposed criminal restitution, bypasses the States and prevents States from receiving and retaining recovered funds – contrary to Federal code. All recoveries should be routed through the State administering the program and their established benefit recovery programs. See suggestion #8, below. SNAP-Ed receives more money, a 100% Federal funding basis, than State program integrity budgets which require 50% State matching. As an illustration of the lack of priority given to fraud detection, FNS’s nearly bottomless bucket of money to fund SNAP education is greatly outweighing integrity initiatives and funding. Despite national obesity and health results, education of healthy eating has received much more monetary support than fraud, waste and abuse of SNAP; information that is readily available through a plethora of sources including the internet, health clinics, magazines of all types, and television. Without appropriate funding, integrity cannot be supported as a top priority. 2) Update State Retained Share Model – Retailer trafficking restitutions bypassing States, increase State recoveries to 50% or increase federal share of admin costs to 75/25, consistent with Pres. Trump’s goal to move 25% of benefit costs to States. The Farm Bill (7 U.S. Code § 2025) permits each State to retain 35% of the value of all funds or allotments recovered from Intentional Program Violations (fraud) and 20% from all other overpayments (except those resulting from agency error). This retention rate should be increased back to 50% (original levels) to encourage State benefit recovery initiatives and to help offset non-federally funded State costs. States with fraud reward programs that pay the public for tips relating to public assistance fraud are not compensated by FNS, increasing the financial burden on States. Historically, the State retention rates have changed several times. Prior to October 1, 1990, IPV retention was 50%. Afterwards and until September 30, 1995, the rate was reduced to 25%. The rate was changed back to 50% until January 1, 2001 when the 35% rate was established. It’s time to readdress this and move it back to 50%. Requiring on-site visits prior to authorization. Stop the electronic upload of documents. Retailer applications do not go through an adequate screening process. FNS claims they don’t even have the authority to numident or validate retailer applicant Social Security Numbers. There should be a limit to retailers, particularly those in the “high fraud risk” categories (based on FNS’ own data). The Women Infant and Children (WIC) program policy allows for the denial of retailers when it has determined there is a saturation of approved WIC retailers in a specific area; SNAP should do the same. Annual unannounced visits for new store locations. FNS does not include States on authorization or disqualification decisions. Retailers who have had their business license revoked, their ability to redeem lottery tickets denied due to fraud, etc., are still allowed to process SNAP transactions. FNS rules do not prohibit retailers to receive personal SNAP benefits, or prohibit the use of those client benefits in their own stores. Allow the state 10 days to vet merchant applications before authorizing a merchant to accept food stamps. Allow states the authority to specify off-limits venues that have a history of trafficking in urban areas to deny potential criminals a FNS authorization, which would make a FNS authorization more valuable and therefore, make merchants less likely to engage in illegal activity. Permit states to specify geographic operating limits of mobile vendors in their states. Revisit the overall FNS need for mobile, delivery route, and convenience store retailers not in a “food desert.” According to the most recent USDA OIG audit available, the overwhelming majority of trafficking (94%) occurs at privately owned locations classified as a Convenience Store, Small Grocery, Medium Grocery and now Delivery Route/mobile vendors. It should be noted these store types typically provide poor quality and/or over-priced food. In particular, delivered food items are always priced higher than comparable items available for pickup. The SNAP program was not intended to subsidize food delivery businesses, nor are precious food assistance funds best spend on gas or delivery driver wages. This misappropriation will only increase with the (forcible) administrative implementation of online SNAP sales by FNS. Raise minimum eligible stock limits to a realistic level. This will impact those retailers abusing the system, particularly in those vendor categories with a higher potential for trafficking. Currently, USDA does not require any oversight of an authorized retailer other than signing a certification attesting they will train employees on conducting allowable SNAP sales. Require all participating retailers to submit and implement a loss-prevention plan for insuring compliance with SNAP regulations. The plan should include an in-store video surveillance system and maintaining itemized listings of all items sold in EBT transactions going back five years. Ideally, the itemized listings should include a bar code identification for each item to ensure the USDA OIG can audit sales records. Require all participating retailers to inform FNS which third party processor they use for EBT transactions and notify FNS within 30 days of any changes. No information about the processors used by authorized retailers for EBT transactions is known by the USDA OIG. This has become a particularly significant vulnerability as some enterprising criminals have entered the third party processing business. This makes subpoenaing records nearly impossible and can serve as a barrier to criminal prosecution. This is also a vulnerability exploitable by business identity thieves who seek to conduct illicit transactions using a legitimate authorized retailer’s FNS number. Require all participating retailers to provide FNS with the banking institution and account holder name for the account into which their SNAP reimbursements are deposited. Also require notification within 30 days of any changes. FNS currently has no information about where SNAP reimbursements are deposited. This provides ample opportunities for fraud including business identity theft and straw ownership (where funds are diverted to an account held by a permanently disqualified individual). In the 21st Century with vast information management resources available, it is unconscionable that millions of dollars in public funds are sent from the Federal Reserve to unknown bank accounts each day. This is particularly unsettling when illegal proceeds from retailer trafficking are sent overseas to unknown criminal and terrorist organizations. 4) Retailer Disqualification Policies Must Be Updated – FNS should immediately suspend SNAP retailer authorization upon verified allegations relating to fraud. SNAP is not an entitlement program for retailers. As examples found in each State demonstrate, FNS waits too long to remove a store from participation in SNAP after there is highly credible proof of SNAP fraud and typically only after the criminal court process is complete. This failure to act allows untold millions of additional dollars to be spent, likely fraudulently, while FNS goes through the lengthy “due process” cited in regulation. Suspending a retailer for suspected fraud would be similar to Medicaid suspending payment to a provider when a credible fraud allegation is received. FNS maintains they cannot deny retailer applications based on a location alone. This perpetuates store locations known to have repeat fraud issues to continue to exist in the program. FNS does not coordinate or communicate with States on administrative retailer investigations, prohibiting States from formulating a solid administrative case against recipients. 5) Allow States to Immediately Suspend EBT Cards Any Time Fraud is Suspected – Some States have laws to immediately suspend TANF benefits when suspected fraud has occurred unless the recipient comes in and resolves the suspected fraud with an investigator. FNS should align their regulations relating to fraud by mirroring this language for SNAP. 6) Establish Minimum Ratio of Investigators to SNAP Households – Resources to administer program integrity vary drastically from State to State. To ensure adequate resources are provided to address fraud proportionally across the nation, FNS should consider establishing a minimum threshold ratio of investigators to SNAP households. 7) Lower Burden of Proof on Trafficking to Preponderance of the Evidence –Currently, States are required to show “Clear and Convincing Evidence” to disqualify a recipient from SNAP. This is a burden of proof significantly greater than that required for retailer disqualifications which is “Preponderance of the Evidence”. When a retailer is disqualified for SNAP trafficking, the State receives a list of recipients from FNS with transactional data showing the trafficking transactions used to disqualify the retailer. Since trafficking is a “quid-pro-quo” transaction between retailer and recipient, the same standard of evidence should be used to disqualify both parties. Additionally, SNAP QC rules require recipients to participate in a quality control review process or lose eligibility if they do not cooperate. At least one State has attempted to rectify this shortcoming. A Trafficking waiver request was submitted to the FNS Southeastern Region in August 2016 that would allow Florida to: (1) administratively disqualify SNAP recipients for EBT trafficking with a “Preponderance of the Evidence” versus use of “Clear and Convincing Evidence”, and (2) required recipients to cooperate in administrative hearings relating to trafficking. This waiver would have required the same standard to retailers found to traffic benefits. This waiver was denied by FNS. Traffickers should not be allowed to remain in the program. If FNS truly wants States to focus on recipient trafficking, this commonsense process improvement would allow States to quickly and efficiently use the same burden of proof to enforce program integrity without impacting due process. Costs associated with meeting the clear and convincing burden of proof often exceed the amount of SNAP benefits trafficked. At 35% retention of trafficked benefits recovered, there is little incentive to pursue investigations of trafficking when other forms of fraud yield a better return on the taxpayers’ investment in program integrity. 8) Disqualify Retailer Owners from Recipient Participation – As stated above, there are instances in which a State or federal court has listed FNS directly as the victim for restitution of funds/allotments lost due to fraud, waste, or abuse – particularly in retailer trafficking violations (USC 2024). These are also IPVs as defined in USC 2015(b), 7 CFR 271.2 (defining trafficking, which includes both recipients and retailers – particularly as joint subjects of the same transaction), 7 CFR 273.16(b) (disqualifications for IPVs as determined by hearing, State, or federal court) and are subject to State retained share of recoveries (payments, restitutions ordered by court, etc.) as directed in USC 2025. 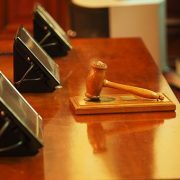 Ensure allotments/funds recovered through the prosecution of authorized retailers (USC 2024) are routed through the State agencies as part of their State collection plan, ensuring proper disqualifications and claims are established and that States are provided the opportunity to retain their share of collections. This includes FNS administrative and USDA OIG criminal investigations. 9) Require EBT POS Devices to Transmit GPS Coordinates, Latitude/Longitude, and IP Address information – With the modernization of wireless POS devices, retailer fraudsters are abusing the system making integrity a very difficult aspect from both a client and retailer investigative standpoint. Instances of numerous POS devices at the wrong location, side by side, and trafficking has been documented (Opa-Locka Flea Market). Currently, there are no safeguards to ensure retailers from other States are moving their POS devices, making trafficking investigations more burdensome on both the USDA OIG and the State Law Enforcement Bureau (SLEB). 10) Modernize Disaster SNAP Guidelines – In the event of a Disaster, FNS has over-broadened eligibility and identification regulations that can encourage waste, fraud, and abuse – placing program integrity at risk. Recent disasters have provided significantly additional and unnecessary administrative workloads for State’s implementing D-SNAP events. Current procedures have carried forward the decision not to require Social Security Numbers of applicants, such as is typically required in SNAP (7 CFR 273.6). The consequence is an opportunity for extensive waste and fraud through the addition of unverifiable household members and benefits being issued to the same person numerous times. Most States have current system capabilities that check SSNs to ensure duplicate benefits are not issued. An additional (possibly unintended) consequence of this decision allows non-citizens to access benefits intended for USA citizens impacted by the disaster. Illegal aliens/undocumented immigrants are made eligible through this policy decision. Requiring States to comb through thousands (or millions) of applications to attempt to discover and recover waste and fraud without additional financial funding assistance from FNS creates an administrative burden. A thorough review of all current procedures and policies relating to D-SNAP is needed and encouraged. 11) Update Rules Regarding Data Sharing and the Release of Client and Retailer Information – 7 CFR 278.1(q) and USC 2018(c) provide clear guidance relating to retailer application (and transactional) data that can be shared with law enforcement: “…with the exception of EINs and SSNs, any information collected from retail food stores and wholesale food concerns, such as ownership information and sales and redemption data, may be disclosed…”; and, “…except that such information may be disclosed to and used by Federal law enforcement and investigative agencies and law enforcement and investigative agencies of a State government for the purposes of administering or enforcing this chapter or any other Federal or State law…“ The recent Argus Case ruling that retailer data is not protected should not be contested any longer by FNS. This decision should also factor as to the release of client data. 7 CFR 272.1(c) is less clear on the States’ ability to share all information provided by the client/applicant, and is silent as to any extraordinary or exigent circumstances for the release of the data . If FNS determines that applicant information for retailers can be shared but applicant provided information for clients cannot, then a different and possibly conflicting standard/guidance is being given to the States without consideration for mitigating, unusual, or exigent circumstances. This policy guidance also fails to consider the technology world in which we live today. FNS has clearly interpreted current regulations regarding the sharing of client information with law enforcement to only pertain to the address, SSN, and photograph of a SNAP household member, and only in the two instances defined in the regulations; if the household member is fleeing to avoid prosecution, or if the member is violating a condition of probation or parole. Outside of a request due to an investigation into food assistance fraud, requests from law enforcement do not meet those criteria, and no information may be shared. This stance deprives law enforcement and the Department of Homeland Security potential client provided application information that could assist protect lives/public safety and national security, and is beyond both the scope and intent of CFRs written pre-9/11. While the SNAP program primarily operates under federal statutes and regulations that were enacted long before the information technology revolution that made these data sharing opportunities available, they also operate without speaking to this greater need in public safety/national security. FNS should work with legislators on this matter posthaste as a matter of both national security/public safety, and in the interest of SNAP program integrity should create an information sharing environment that allows States the ability to “share and compare” conflicting applicant provided data in a manner that balances legal standards relating to privacy and civil liberties. Advances in technology and the need to share data across programs, as well as the public safety and national security interests should outweigh outdated mindsets that client and retailer information be kept confidential out of concern for “shaming” a recipient. It’s time to look at these regulations and update them for the good of society and the program. Additional resources and publications have been written on this subject: Coalition for Access and Opportunity, GAO 17-111, American Public Human Services Association, Administration for Children and Families. SNAP applications should require more than just a name, mailing address, and signature. Other identifying information should be mandatory to allow States to better identify and prevent waste/fraud/abuse before States expend valuable resources determining eligibility and potentially (likely) allowing benefits to be issued. Application and policy guidelines across public assistance programs should be aligned and allow different programs to share data. Currently, The Work Number© has a contract with CMS to provide earned income verification for Medicaid eligibility. Should a State use The Work Number information via the federal hub for Medicaid, it should also be allowed to be used for SNAP, TANF, etc. The “one size fits all” Simplified Reporting policy handcuffs program integrity issues. With so many options available to the State, this policy would be beneficial if options were available within itself and States were allowed to act upon known waste. For example, clients applying for benefits while in one State, being approved, and moving to another State for the remainder of the eligibility period. This impacts many of the southern States that deal with seasonal migratory population, only to see the client back in their State for a brief holiday period (for which to recertify). It’s obvious seeing EBT transactional data in other States that the person is not a current resident. While some States have passed laws to close TANF assistance cases when a client spends their benefits out of state for 30 consecutive days, no action can be taken on the SNAP case until the certification period ends. When a State receives an electronic alert of information that may affect eligibility or amount of benefits, it should take immediate action to determine if that information is correct and apply whatever changes need to be made. Simplified reporting has limited a recipient’s responsibility to be held accountable for reporting that change. 13) Deny Ineligible Applicants Based on Information Provided by the Applicant – FNS currently prohibits States to automatically deny an applicant for benefits when they self-declare on their application with information that deems them ineligible. For example, if a person claims they are not a citizen or their reported monthly income is higher than the income limit, the State must contact the applicant to verify/double-check that the information provided by the applicant is in fact true before denying the application. This is an unnecessary workload for State eligibility staff and is expensive to notice applicants who have already self-declared themselves ineligible. 14) Allow All States to Implement Online Identity Verification Processes – As States have modernized eligibility systems from pen/paper to electronic media, a much needed tool is needed to determine the identity of the applicant. The statistics captured by the Federal Trade Commission’s Consumer Sentinel’s annual report show a disturbing trend: identity theft/fraud is prevalent in government benefits/documents. We all have heard about the issues plaguing the IRS and fraudulent tax returns and unemployment compensation. While not as immediately lucrative, fraudulent SNAP applications using a victim’s personal identification information provide a low-risk/long-term reward to identity thieves. Current technology exists and is being used in at least one State that ensures that the person applying for benefits is who they say they are – and the cost avoidance savings are staggering. However, FNS requires States to allow clients to “opt-out” of the process. Identity thieves don’t opt-in to verify their identity, they opt-out. Multi-factor authentication steps are used in nearly everything from social media accounts, email accounts, and even logging in to check your bank account balance to reduce the ability of sophisticated identity thieves to use stolen information to obtain access. 15) Identity Theft Unaddressed by Outdated Procedures – Speaking of identity theft, States are being exposed to greater risks of identity fraud as they modernize application systems. FNS has no rules or regulations relating to identity theft, and States are required to use the same processes intended for a valid applicant which hampers a State’s ability to safeguard SNAP integrity. For example, even if identity theft is strongly suspected, the States must use valuable resources to attempt to contact the applicant (the thief) prior to a denial. FNS must first concede that identity theft is a reality, then take reasonable and swift action to implement policies to address identity theft with appropriate policy and protocol. Recently, FNS has commissioned a study on identity theft to determine the extent and best practices used by the States, but neglects to address the root cause. Fraud changes at a pace necessary to outwit entities for benefits. By the time a study is complete, the fraud landscape will have changed multiple times, and will be different for some States. Utilizing technology, States can offer real-time, relevant operational information today in order to make current decisions surrounding fraud. States must be empowered to enact and combat this issue. 16) Require Client Cooperation in Administrative Fraud Investigations – Current federal regulations provide excessive Due Process protections to clients, even in instances of suspected fraud. This protection includes the client being able to refuse to participate in an investigative interview or to respond to questions. 7 CFR 273.16(f)(1)(ii)(B) inexplicably extends criminal Miranda Rights to the administrative process and noncustodial interviews in criminal investigations, and current regulations allow clients to refuse to participate in Administrative Disqualification Hearings in 7 CFR 273.16(e)(2)(iii). Requiring participation does not mean a recipient must incriminate him or herself in an investigation. It only means that failure to cooperate or refuse to be interviewed will result in an immediate closing of the case. A recipient suspected of fraud in a criminal investigation can refuse to answer a question on the grounds that it could incriminate him or her. Subsequently, criminal charges may still be filed against the recipient based on evidence obtained during the investigation whether or not the client refused to answer incriminating questions or not. Interestingly, current regulations provide that during a Quality Control review clients must fully cooperate with the review and permit States to terminate benefits if they do not. Quality Control reviews apparently have more importance than alleged fraud under program policy. The States are tasked with proving an administrative fraud violation independent of client participation. One can therefore argue that fraud is a protected client activity within SNAP. 17) Use of Federal or State Disqualification Data – FNS has information on all individuals who have been disqualified from the food assistance program in the Electronic Disqualified Recipient System (eDRS), and they share this data with all States; however, FNS does not allow States to act on the information. States are required to double check with the State where the disqualification originated and verify the data to determine that all processes were completed correctly in the originating State. As States are required to upload accurate disqualification data, this is an unnecessary administrative burden for eligibility staff who spend time researching and attempting to communicate with other State staff to re-verify the data – yet FNS accepts this data without question. FNS places a huge burden on States to scrub this data, but they accept it at face value from States. eDRS data should be considered Verified Upon Receipt, and any clients who feel it is not accurate still have Due Process procedures in Fair Hearing requests. 18) SNAP Case Closure Upon Receipt of Undeliverable Returned Mail – FNS does not allow States to close a SNAP case or application when they receive undeliverable returned mail unless the State chooses to act on all changes reported to the State. It’s an all or nothing policy. The States adopting Simplified Reporting policy years ago simplifies the process for customers to apply and receive food assistance. Once approved, clients no longer have to report most household circumstances unless it adversely affected their benefit eligibility – they were approved and frozen for a 6-month certification at a set benefit amount. Not having to report an address change, even to another State, in included in that policy but should be addressed as a stand-alone regulation. Failure to report an address change does not adversely affect a benefit amount; recipients should be required to report their residency since States are seriously challenged in their ability to remain in contact with its recipients/clients. The policy also leads to fraud and over-payments when recipients receive benefits in more than one State at a time. Additionally, FNS does not allow the State to use Post Office information to determine (in)valid addresses. FNS requires the State to send correspondence to applicants/recipients to known bad addresses that ultimately get returned – a waste of postage and State administrative resources. 19) Elimination of Action on Certain Federally Required Data Exchanges – Eligibility staff receive numerous data exchanges on a daily, weekly, and monthly frequency. Many data exchanges are not verified upon receipt and many times contain outdated information, i.e., Prisoner Information exchanges. The 2014 Farm Bill requires States to check the National Directory of New Hires (NDNH) before approval which also has a cost; States must pay $30,000 per year or more for this marginally beneficial data. The information received from the NDNH is often no longer relevant to the recipient’s current circumstances and/or is discovered in the interview. The requirement for staff to process these data exchange does not have a beneficial impact on the recipient/applicant’s case, has a direct cost to the State by invoice, and costs State’s precious staff time to research without any realization of return. 20) PARIS/NAC Modernization – The Public Assistance Reporting Information System (PARIS) is a national match of public assistance recipients provided to States on a retrospective quarterly basis that is intended to combat dual participation. At the time of inception, this was a valuable tool and provided quarterly or annual data. However, by the time States receive the report, it can be 5-month old data, and oftentimes yields little return. Additionally, the system is set up to notify the applicant State, instead of the original State. A new system, the National Accuracy Clearinghouse (NAC) provides real time, front end protection from dual participation issuance. NAC is currently used in only 5 States and FNS has been slow to approve its expansion nationwide, and States can incur prohibitive costs in system integration. This data should be modernized so that it is real time, re-engineered so that the appropriate State is notified, and it should be considered Verified upon Receipt to allow States to quickly take action and eliminate program waste. Or better yet, PARIS could be completely replaced by the NAC nationwide. By reversing the model to allow States to close cases (without turning off the still active EBT card) upon receipt that a client has applied in another State (regardless of eligibility determination in that s\State) is both a commonsense and easily implemented decision. In either case, the information should be considered “verified upon receipt” to allow States to take action without unnecessary administrative burdens. In addition, a business process redesign is desperately needed to move the notifications to the State currently providing assistance to streamline efficiency and encourage regular participation. 21) SNAP Benefit Expungement Regardless of Account Activity – There has been a request for comments in the Federal Register Volume 81 Number 189 regarding EBT Expungement. Due to FNS policy interpretation, States expunge SNAP benefits from accounts after 365 days of inactivity of the account (some States utilize a waiver to expunge benefits from single households if death occurs). SNAP benefits were not intended to be a savings account for recipients. Accumulating balances without spending benefits indicates a circumstance that questions the true supplemental assistance need of the recipient, or the possibility of fraudulent receipt and/or trafficking of benefits. Numerous articles have been printed regarding States with balances on the EBT card of over $2,500. Previous amendments to the Farm Bill have called for better management of EBT balances. Modernization of the program should expunge unused benefits at a shorter frequency. A commonsense approach would be to only load the balance of unused benefits the following month. 22) Clarify the Definition of Agency Error (AE) Classification of Claims – In recent years, disparity exists between states over the way in which certain overpayment claims are classified. This disparity exists due to vague definitions that leave to interpretation the meaning of Agency Error and Intentional Program Violation. Definitions are provided in Title 7 for the SNAP program 7 CFR 273.18(b). At issue is the definition of Agency Error and treatment of overpaid benefits once information is discovered by the agency that indicates fraud has occurred. In many states, the SNAP recipient is held responsible for correctly reporting his or her household changes and in other states, the agency is held responsible for not taking action to address information that is obtained by means other than a report from the recipient. It is our belief that receipt of SNAP benefits constitute a contract between the recipient and the agency that administers this taxpayer-funded program. As part of that contract, the recipient is responsible for reporting changes that may affect eligibility to receive benefits. Absent such a report, information an agency may receive from sources other than adult household members should not be the basis for modifying or discontinuing benefits. However, states are about equally split on classifying benefits that are overpaid once the agency receives information from a source other than a responsible member of the household. Agencies across the nation will perceive a data alert as grounds for action to modify or discontinue benefits, even though the household has reported no changes. This makes the taxpayer responsible for any benefits overpaid rather than the recipient. Across the nation, that vagueness results in millions of dollars being issued without any consequence to the recipient who failed to meet his or her end of the contract. Agency error classifications should be clearly defined as “any claim for an overpayment caused by an action or failure to take action by the State agency on information reported by the household”. These changes, in no particular order, are all necessary, some long overdue, and will provide meaningful program integrity to the SNAP program we all have been tasked with protecting. As good stewards of this critical program assisting America’s most vulnerable and needy become self-sufficient, the time to act is now. Let’s roll this boulder uphill. Together.